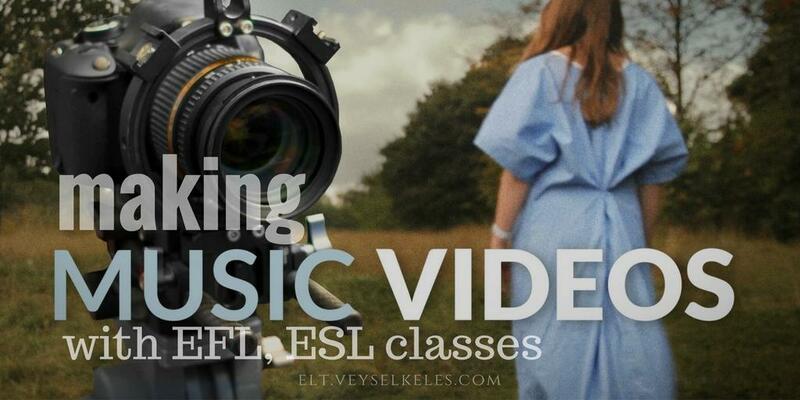 Songs are one of the other greatest tools for us to use in the classroom to encourage efl and esl students. For that matter, we really need good archive of interesting, funny and lively songs. Searching for the right song for the aim of our subjects is really difficult. Youtube is full of videos, thus that makes it even harder to find the right ones. With the use of right "search terms" on Youtube, we can be lucky at times to find the best song and once i found it and i used it as a cornerstone last year. I think Making music videos is another way to utilize the songs for our goals. We listened to it many times in the class. They loved it! So, i had a look at this video again and thought we could make a parody of this funny music video and we did it in just 60 minutes. Editing and other stuff took for me like another one hour though. But the result was worth it. While we were listening to the song on the smart board, the kids were singing the song as well and i was shooting it with an iPhone. Shooting it was not easy and also it wasn't easy to edit the video because of the lip synch problems but i think i managed it. While editing the video i deleted the kids' voices all because there would be noises. They already sang it many times in class and i just didn't wanted to add their own voices because it would make it more and more difficult to edit the video. What do you think about the video? Are there any other videos that could be made with the kids easily?